This is my undead horde! 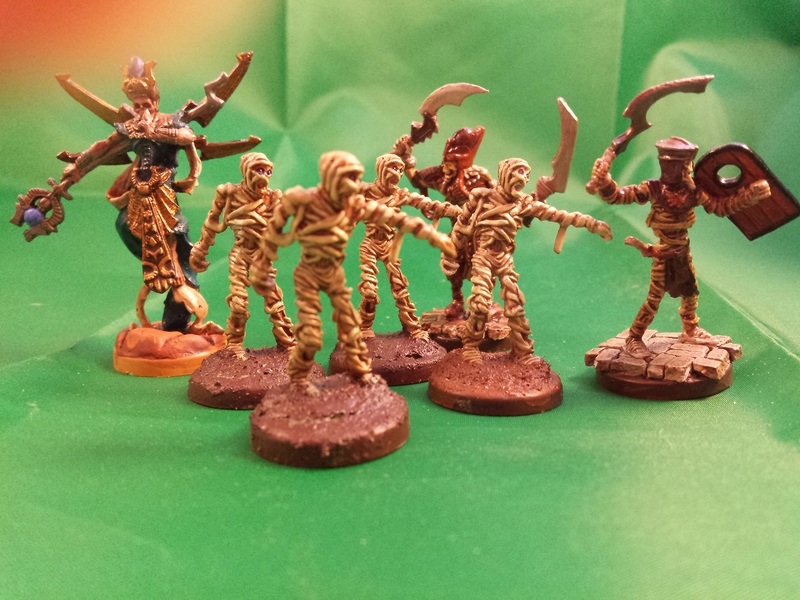 Mummies, mummies, and a lich! These were fun to paint. Layer of paint, ink wash, layer of paint, ink wash, then fine line. I just realized my finger is making an appearance in this picture.. My bad! 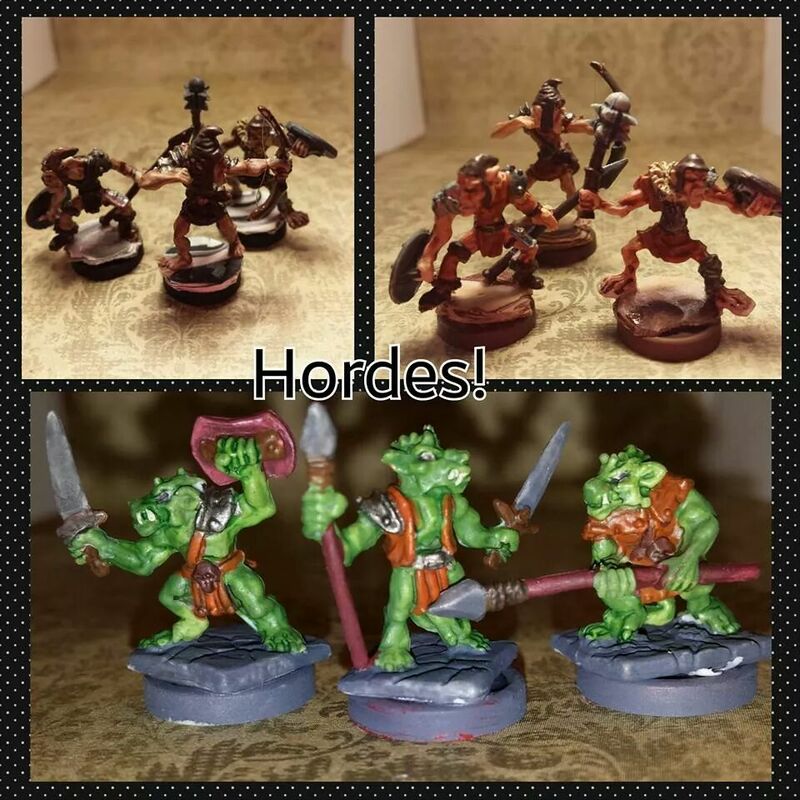 So, kobolds, orcs, and goblins! You can never have enough, so I painted a LOT of them. We now have 20 kobolds, 16 goblins, and 16 orcish things. 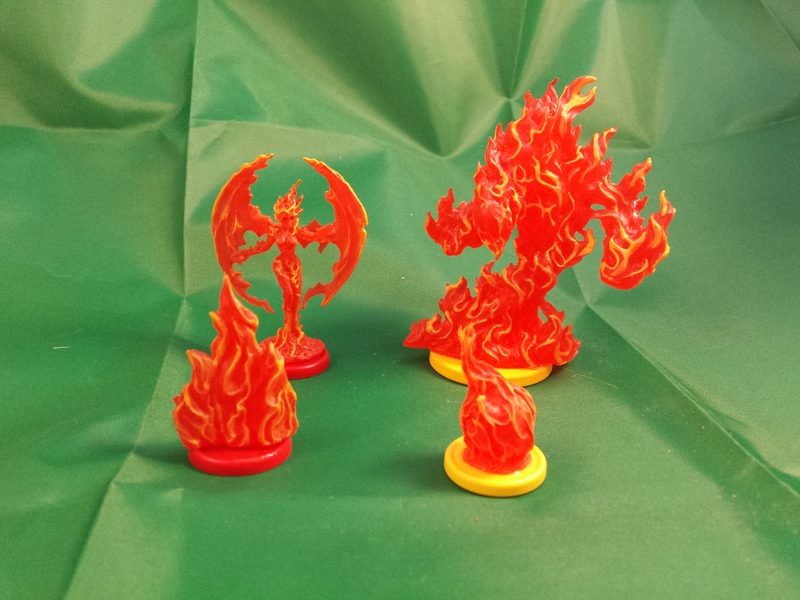 They’re so small, I usually paint them in batches of sprues of 3. I’ll go through one set, and while they’re drying start working on another set. I think this will be the last post for the night. I need to take more pictures tomorrow (I got an awesome new photo setup for Christmas, so i’m redoing some of the older, not so good pictures).